Every parent one day, with the grace of God will see their children grow up, then watch them become productive adults and eventually they will have lives of their own. Some will have children, while others will go to college and then others will move far away from home then get married. Thinking about what I just wrote, all I can say or think about at this moment is, its funny how fast time flies. One minute you are holding your baby boy or girl and in the next you are holding, watching or taking care of your grandchildren. The question is what do you do when your children move on? If you aren't married or if you are now single what happens with your own life or what do you do now? Should you pursue another career or should you find a man or woman to spend your life with? After all the children are grown, have moved away ,you have raised them well and now your job is complete. If you put your life on hold because of your children, the time has come for you to live your own life. Doing so is not only healthy for yourself, but will also give your children the confidence or the peace of mind, knowing that their parents have moved on also. 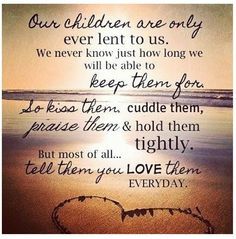 No child wants to have the burden or have to worry about a parent that they left behind. The world is stressful enough and young men or women need a clear conscious, while they try to find their own way. Parents are suppose to be role models, support in a nurturing way and never should one, unless it is an emergency become dependent of their own children. For those who may say, I am afraid to let go and that is still my baby, I have this to say," They are grown now, stay out of their business, please let them go". Allow them to grow, make their own decisions and to learn from their own mistakes. Just like you, when you became an adult, they to have dreams, wants and desires. Allow them to be real men or women because they are no longer children. Even though they have moved on, no child will forget or neglect a loving parent.When the time is right they will always come home for a visit. After all when the children move on that is when the good life begins, When The Children Move Away. Write in then express your thoughts or feeling on the subject.